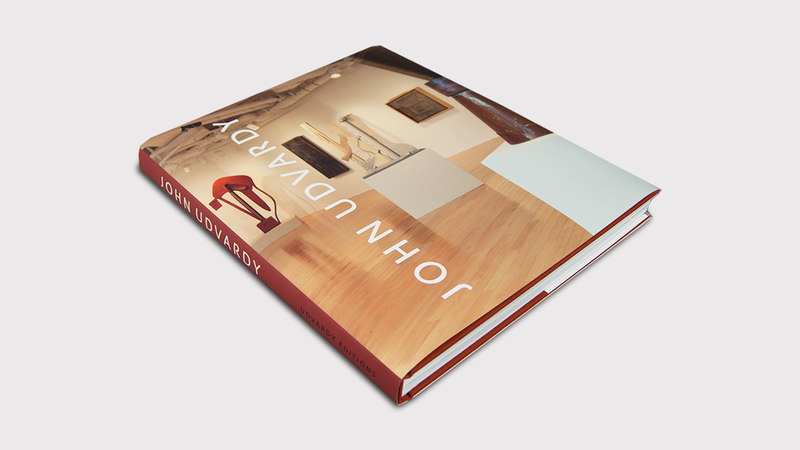 John Udvardy will be signing copies of his book John Udvardy, Sunday, December 10, 2:00–3:30pm at IMAGO Gallery located at 36 Market Street, Warren, RI. The book includes 450 images of John's work as well as essays, interviews, and a memoir that invites readers into his life and studio. John will be discussing the design process for his book. The event is free and open to the public. Books will be available for purchase for $50 unsigned and $75 for signed copies. John Udvardy is a distinguished sculptor, painter and educator with an extensive exhibition record throughout the United States. He is graciously donating all proceeds from the sale of the book to a new scholarship fund Imago Foundation for the Arts is establishing for area high school students who are pursuing a degree in the arts. Book design by Malcolm Grear Designers.